Starting from: $2,795 per person double or triple occupancy; $3,195 single occupancy. We begin in Osaka, four nights in Japan’s third-largest city, a place where things have always moved a bit faster, where people are a bit brasher and interactions are peppered with playful jabs – and locals take pride in this. Our hotel is perfectly situated just around the corner from the Shinsaibashi Shopping Arcade and Dotonbori. Step outdoors and take in the dazzling neon and vivid storefronts. Above all, Osaka is a city that loves to eat: its unofficial slogan is kuidaore (‘eat until you drop’). It really shines in the evening, when it seems that everyone is out for a good meal – and a good time. 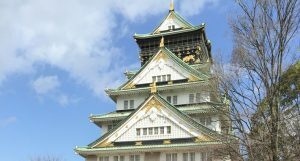 And yet there is so much more, including a full day at Universal Studios, a complete free day for shopping, as well visits to Hiroshima, Miyajima & Kyoto and not one, but two bullet train rides. You really couldn’t ask for a more perfectly balanced tour. Round trip air via Delta Air Lines from Honolulu. In flight meals, breakfast daily at your hotel, 1 lunch & 1 dinner. English speaking guide and Panda Travel® representative throughout your journey. 10/07/19 – Depart Honolulu on Delta Air Lines flight 277 at 9:44 am and arrives in Kansai at 2:15 pm, 10/08. 10/14/19 – Depart Kansai on Delta Air Lines flight 278 at 9:00 pm and arrive Honolulu at 10:09 am.